Since 1997 JSM Services, Inc. has been the leader in broad leaf herbicide applications on state right-of-way's in Central & Southwest Florida. 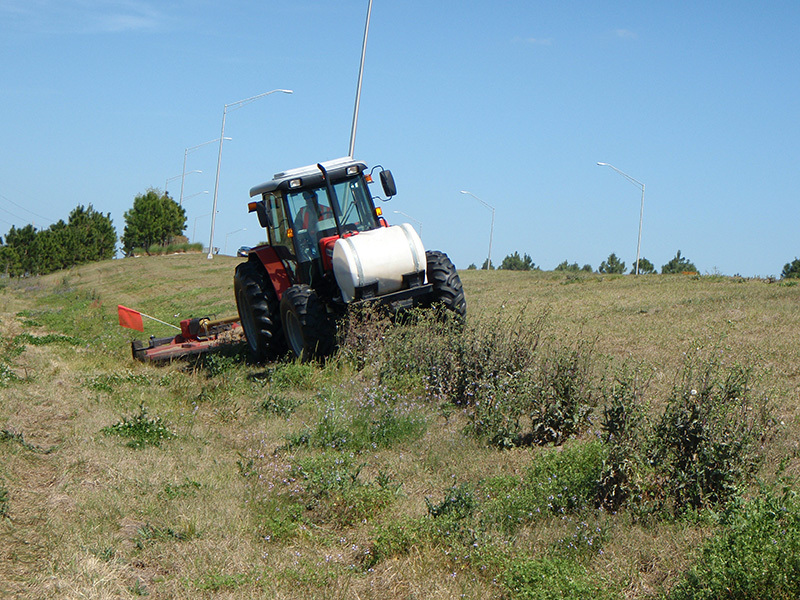 Chemical mowing is a way for the state to kill noxious weeds that hinder the growth of desirable grasses. When you have an area that is overgrown with weeds, not only is it aesthetically unappealing to the general public, it also damages the soil structure. Most weeds have a larger and deeper root system than grasses do, so when they are allowed to spread over large areas there is a much greater chance for washouts and drainage problems, thus resulting in greater cost to maintain a given right-of-way. JSM uses a mixture of 2-4-D and Vanquish to achieve a 98% kill rate on most of the roads that JSM maintains. Our tractors are outfitted with the latest GPS monitoring systems to give us the most accurate application achievable. We also have the capability to turn on and off each section of the deck on the tractor thus resulting in less over-spray and smaller foot print on the environment.